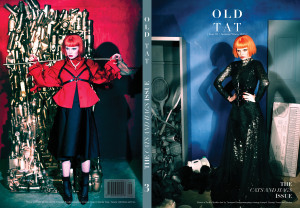 Old Tat Magazine | Where fashion and art come together to celebrate a love for old tat. 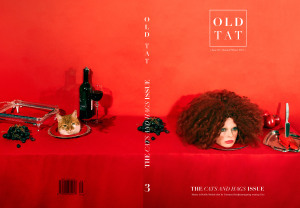 Old Tat magazine is a British bi-annual print publication featuring fashion, art, documentary, illustration and the miscellaneous. Our niche is that the magazine shows off a love for clutter and celebrates the strange and even hideous items of old tat which do more than just collect dust. As a nation, we struggle to throw anything away hence our countless charity shops on every high street and our love for car boot sales, flea markets and antiques. We aim to create work featuring more than your usual white backdrop. Ultimately Old Tat is a timeless print focusing on the up-cycled, the hoarded, the treasured and the gems of our can’t-throw-away society. We have a slightly retro aesthetic and adore anything tatty. We are completely unique and set ourselves apart from the clean-cut fashion editorials we are so used to seeing. Everyone loves a bit of old tat!